Hey everyone, Dan P here with a written interview back and forth with Jaime Dominguez from KaleidoGames. 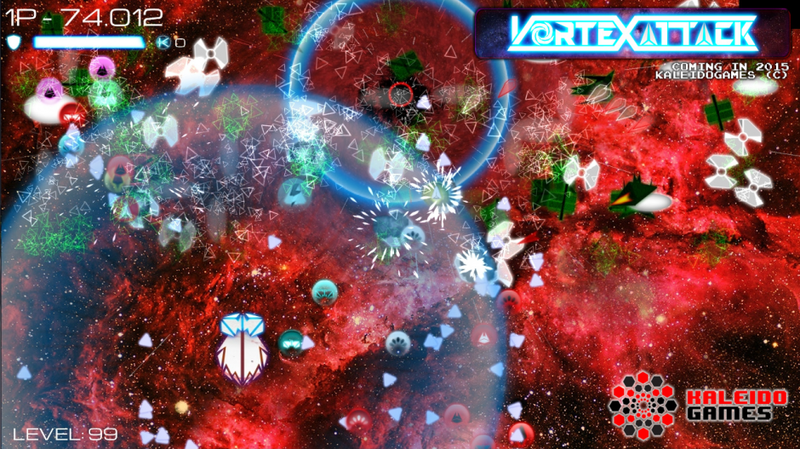 Jaime has recently created Vortex Attack which you can find on Desura for $4.99. 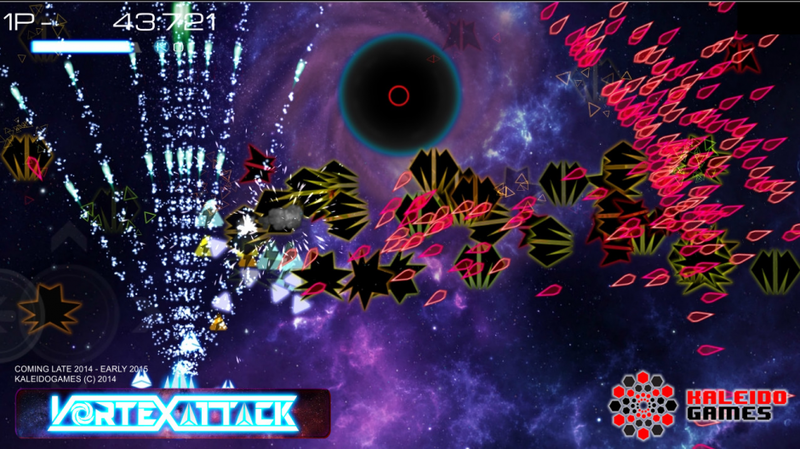 Vortex Attack is a vertical shmup along the same vein of Space Invaders, Galaga, and Galaxian. The game starts very rudimentary and slowly gets really exciting. I really enjoyed the game and felt like it got better after the 10th wave of enemies. On the first try, I got up to level 28! You can vote for Vortex Attack on Steam Greenlight here. Also, you can find the demo here on Indie DB. Anyways, Jaime was generous enough to spend time answering some questions. Enjoy! Dan P: Introduce yourself. When did you start Kaleido Games? What games or projects have you worked on in the past? Jaime D: When I was a kid, I loved a challenging MSX game from the 80s called ‘Valkyr’ where the player pilots a spaceship to kill space insects and collect some kind of essence they left upon death. In 2011, I made a remake – it was so loyal to the original that for a while, not even the original author was able to tell it was a remake. With that in hand I went to a job interview as a games developer in Brighton, UK. However, the interviewer wasn’t impressed with it. He asked me to make something more modern and visually attractive. Initially what was going to be just a simple re-skin job ended up as a full on game project. When the project started growing he asked a couple of friends to give a hand with graphics and music. The game team was formed and after several months of hard work (October 1st, 2013). I created the KaleidoGames then and first early access version of Beekyr was completed. JD: Because my first indie attempt was a Kaleidoscope game for smartphones. But that I never finished because my phone didn’t support the technology. DP: What happened before 2011? JD: Before all of that, I made several mini-games for different companies. Also, most of my professional websites since 2004 were full of visual interactions, behaving almost like web apps. There is more, I also worked for 6 years in a project called Electrofolio.com (still active) where users can easily make websites. I still use it because it has the best SEO and it is good enough for me and my clients. DP: What was the first game you created? JD: My first game attempt was done in MSX-Basic, it was called GOLIATH, it was conversational text game. I managed to make some screens with it. But I erased the tape where I had it saved, I was only 6. I also made another game with sprites with a my friend Néstor. The guy was only one year older than me but he already knew how to make sprites move and some keyboards interactions. We made a Rambo fan game where it was 2 stick guys each side of the screen. The red one moved towards the white one, when the red one touched the white one we had to press the Space bar to keep on playing, which was the same thing over and over again. If you lose, it displayed a text and the game was finished. DP: Tell me a little about Vortex Attack. (I love shooters and shmups by the way) What other games and specifically shmups have inspired you? JD: Vortex attack is the result of a polished shmup engine built for Beekyr, and I always wanted to make a tron style game on my own. Also I thought that a vortex with lightnings could look awesome, I had a game idea I liked so I decided to start, and now it is almost finished.. I got inspired by most shmups games I have played since I had an MSX when I was 4: I played: Valkyr, Beamrider, Zanac, Knightmare , Twin Bee, Nemesis, and Parodius back then. But with the power of MAME I also played games like Robotron, ProjectX, Mars Matrix, Ikaruga and Geometry Wars. DP: What is your gaming origin? What was the first game(s) that you remember playing and left a deep impression? Were you a PC or a console kid growing up? JD: I have been computer user, I couldn’t be very creative in a console. I never had a console till I got one for free in a national raffle. So I remember clearly, when I was 3, that strange machine my parents brought home, it was a machine where I could move things on the TV. The plugged an MSX konami cartidge (Penguin Adventure). I was instantly hooked to that computer, I loved the colours and the music theme. I played a lot many games but shmups were definitely my favourites. I remember playing Zanac and loving how the screen was full of bullets with final bosses. I’d like to thank Jaime once again for taking the time to write to us. 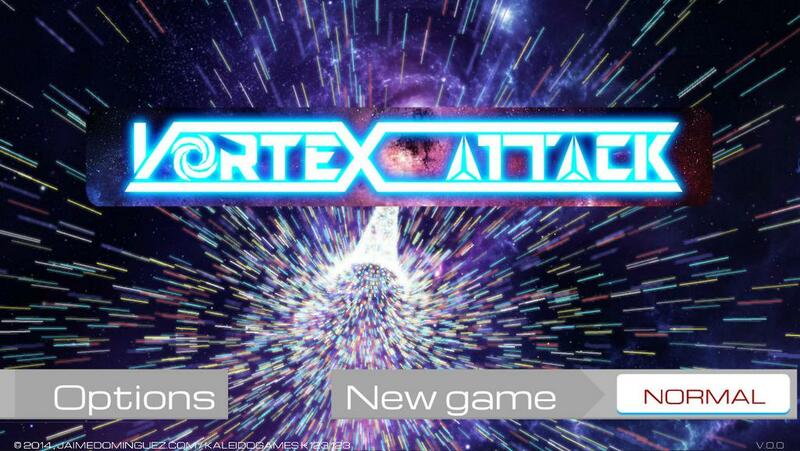 I think Vortex Attack is worth trying, so download the demo!